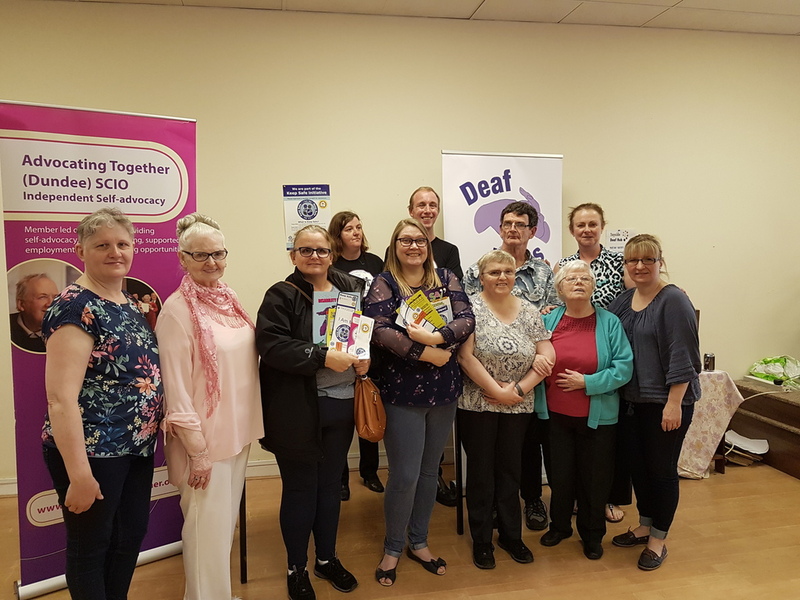 2018 - Diary - tayside Deaf Hub & Deaf Links growing in MORE postive ways! April - Burlesque returned to Tayside Deaf Hub! Our interpreters worked with Scarlett Flame to bring a tantilising and wowing show! We raised close to £400 which was split between Signed Songs R Us & Vikki's British Sign Languge Level 6 fund. May - Signed Songs R Us are taking part in the 2nd UK National Signing Choir Competition in Kent. 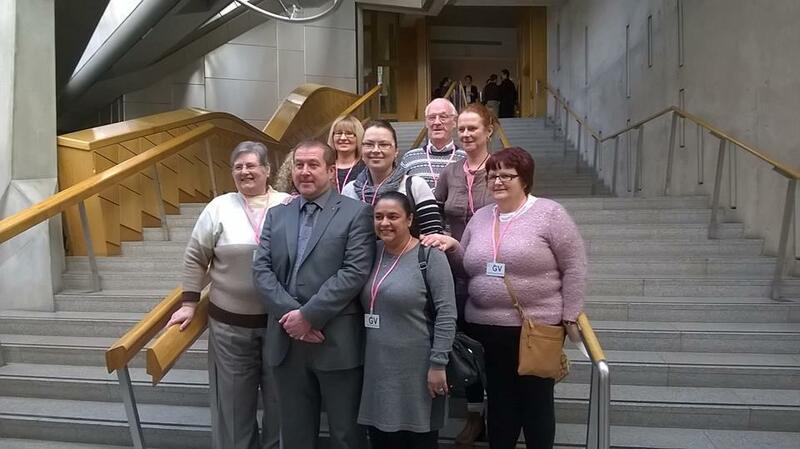 2017 Diary - Tayside Deaf Hub & Deaf Links growing in positive ways! 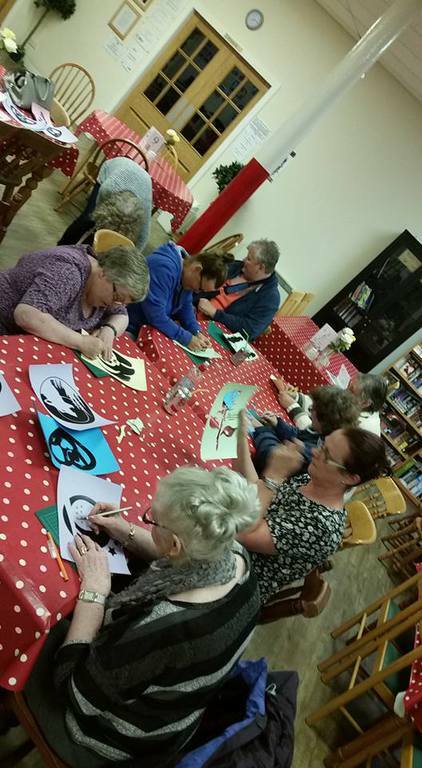 As part of Heart Tay Heart week, Tayside Deaf Hub launched their “Colouring Café @ No23” where people are welcome to come in and take part in relaxation and mindfulness colouring in while enjoying the café’s delights. Due to the popularity of our advocacy service & identifying need of British Sign Language users, Deaf Link’s started Deaf counselling service, provided by a trained councillor who is also as BSL user. 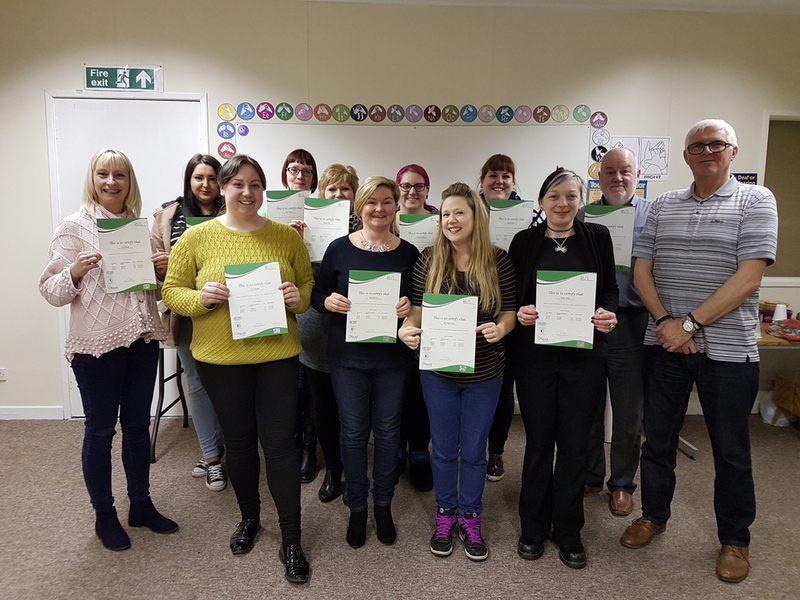 The 1st British Sign Language Level 3 class passed with a 100% achievement rate, all 10 students received their certificates in June this year. Our 1st lip reading for employability class were hailed a success with 9 students completing the course funded by NHS Tayside community invitation fund. Deaf Links held their 2nd charity ball in August - Tartan Glamour Ball, a huge celebration and wonderful evening. We raised £300 with our 2nd BSL inclusive Evening of Burlesque on 9th September for Sensory Advocacy Service! Tayside Deaf Forum had a consultation and presentation meeting with Dundee City Council Aging & Disability group regarding Dundee's new train station on 27th September. BSL Level 2 class had a 100% pass rate! Well done to all our students! 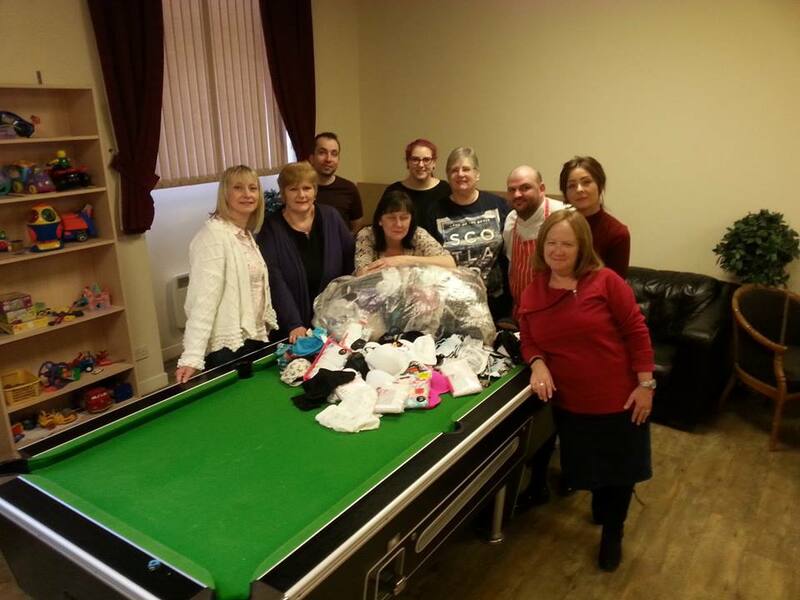 Deaf Links team are taking part in Social Bite's "Sleep In The Park" on 9th December 2017, where the team will sleep in an open park for one night to raise money and awareness of homelessness in Scotland. Social Bite plan is to eradicate homelessness in 5 years. 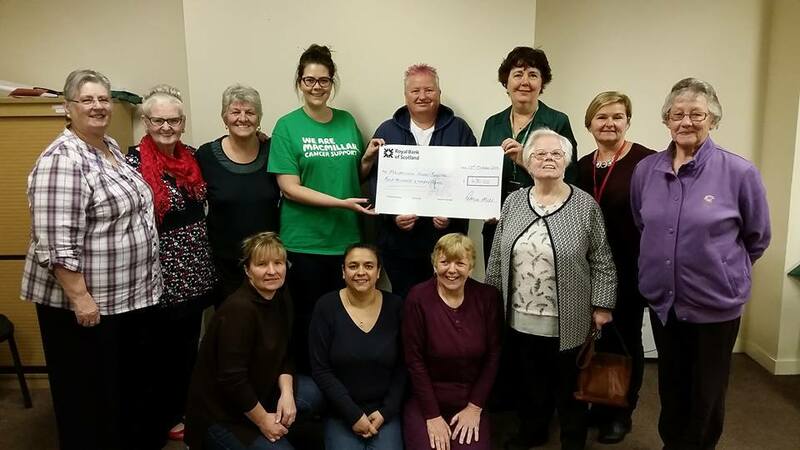 Deaf Links team held a very successful Quiz Night on 11th October, in order to generate money for Social Bite's "Sleep In The Park", we raised £540, we have a total of £3330 to raise. Deaf Links have started a new monthly Lipreading group to help keep lipreading skills fresh, it will begin on 8th November. Woman's Healthy Living group has been a success with each week being busy and informative and all inforamtion been interpreted in to BSL and will conclude on 2nd November. 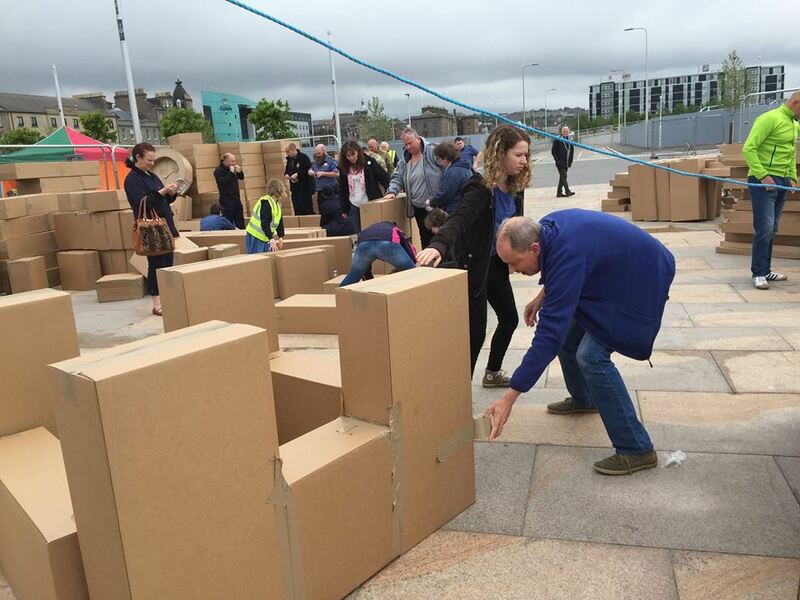 After a very successful run of fundraising Deaf Links team have achieved thier target and will be taking part in Sleep In The Park - by Social Bite to help erradicate homelessness in Scotland in the next 5 years. Keep up to date with whats going on through our social media!